I was an art kid in high school but had a hard time thinking of myself as an artist. I decided to study Art History and Material Culture during my time at UW-Madison, and upon graduating, had a hard time seeing myself as a historian. After experience as a Brand Coordinator in a Marketing Department, I started taking InDesign classes and finally enrolled in the Graphic Design Program at Madison College. 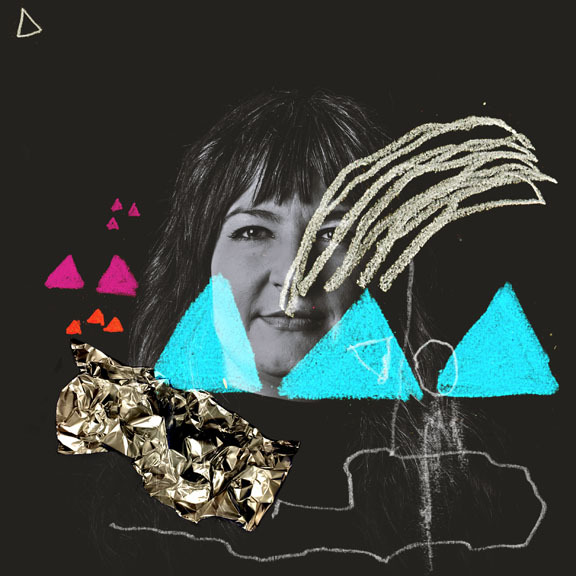 I am a Graphic Designer and Illustrator. Sometimes life comes full circle. The Girl Scouts of America gives girls an outlet to build confidence and character– qualities that shape courageous women. 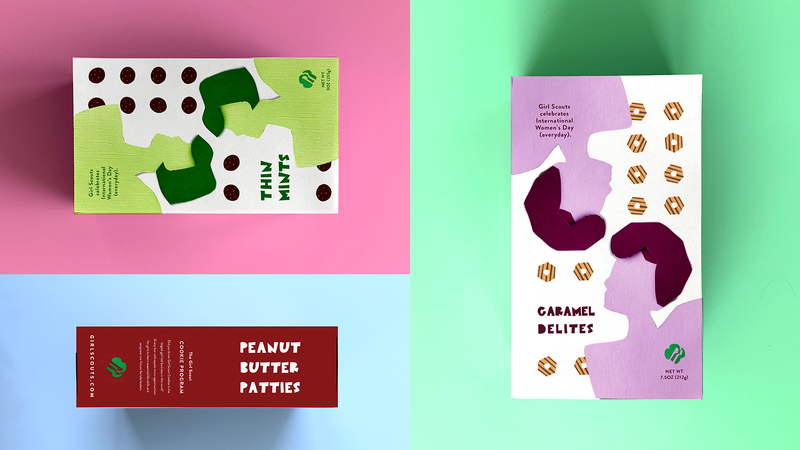 I chose to rebrand the Girl Scout Cookies' boxes and create a multi-channel campaign in honor of International Women's Day. The campaign is more than just about cookies, it's a fun, colorful approach that shows girls they will always be celebrated. WORT Community Radio Station has been a fixture in Madison since 1975. I wanted to create a Show Guide brochure that matched their passion and tenacity. 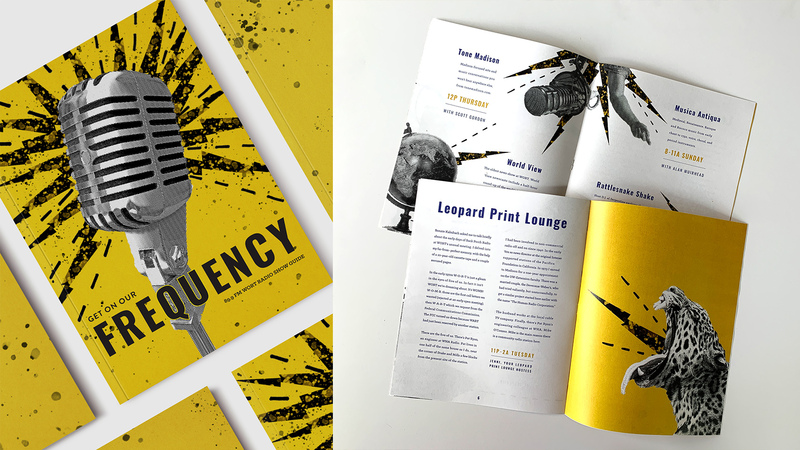 The concept 'Get On Our Frequency' is a call to action for listeners to tune in to the shows described within the brochure. The style is loud and electric, yet clean and contemporary. 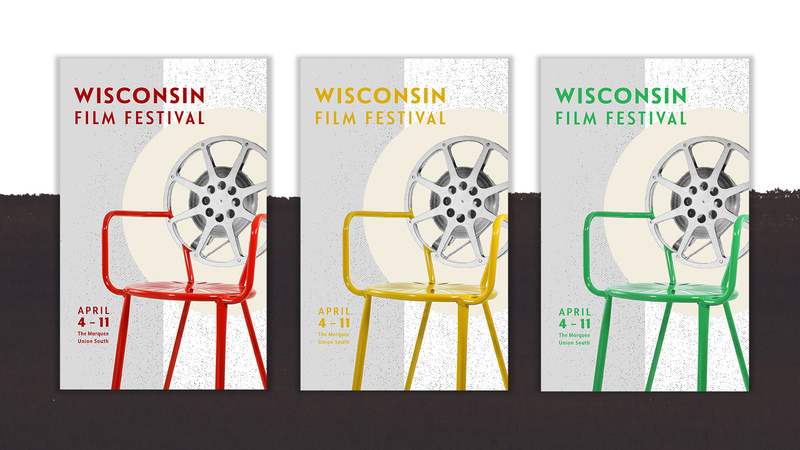 For the 2019 Wisconsin Film Festival, I wanted to create a unique image that symbolizes Madison. I collaged the quintessential Memorial Union chair with an antique film reel to represent the festival. The result is a clean and iconic color-coded poster series. As a part of a make-and-market project, I created 12 illustrations— one for each of the zodiac signs. 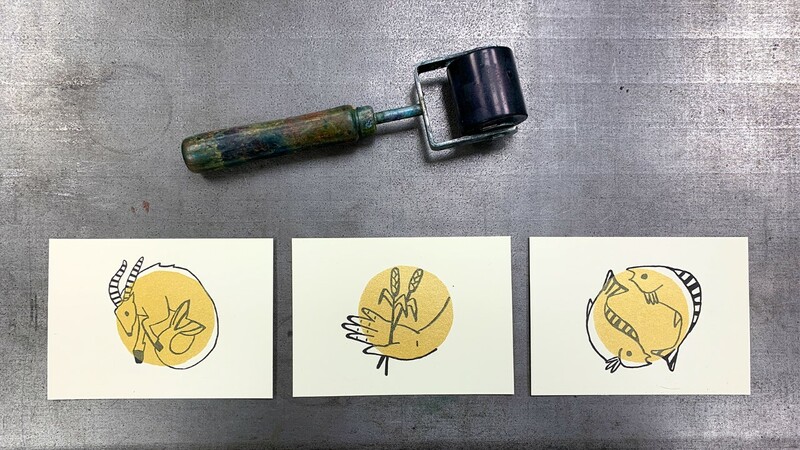 The project involved screen printing the golden circle and letterpress printing each of the illustrations. The cards will be sold as a pack of 12 for the Center for Printing Arts at Madison College.